There are some things that are more difficult to clean than others. In your Edgewater apartments, here are some easy tips for cleaning these items. These shortcuts and tricks will make things easier so you can get them done fast. 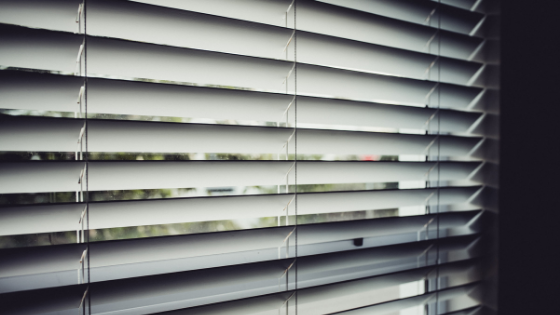 Both horizontal and vertical windows blinds collect dust just like other surfaces in your home. It’s important to dust them on a regular basis so they don’t get grimy. If you allow them to get grimy, nothing short of removing them and wiping each panel down with soapy water will get them clean. To dust, you can purchase a special blind cleaner that has multiple fingers that slip in between the blinds. Spray the tool with distilled water to help the dust cling, and simply pull across the surface of the panels. By far the easiest way to clean the leaves of faux shrubbery is to set the whole plant inside your shower and turn on the hot water. The combination of water and steam will get every leaf shiny again. If you have fake plants that are too big for the shower, just set them outside and water them down with a garden hose. Toaster ovens accumulate grease just like a regular oven, but they usually lack the self-cleaning feature of traditional ovens. To clean, first, unplug the toaster oven. Remove the metal rack and run it through the dishwasher. To clean the interior, pour a half cupful of baking soda into a bowl. Pour half a cup of vinegar into another bowl. Use a paper towel to soak up some of the vinegar. Pick up some baking soda with the wet paper towel. Apply a little pressure and wipe up grease stains easily. Rinse with water on a clean cloth when finished. This method will prevent you from scratching the aluminum in the toaster oven with harsh abrasives. Lamp shades should be vacuumed just like your upholstered furniture. You can use the same attachment as the one you use on your draperies. Lampshades don’t need to be cleaned as often as the rest of your house. Once every two weeks should suffice to keep dust and grime at bay. With these little tips, you can take care of some of the more challenging things to clean in your apartment home. Are you interested to see available floor plans in Edgewater, NJ apartments? Contact us today for a tour!